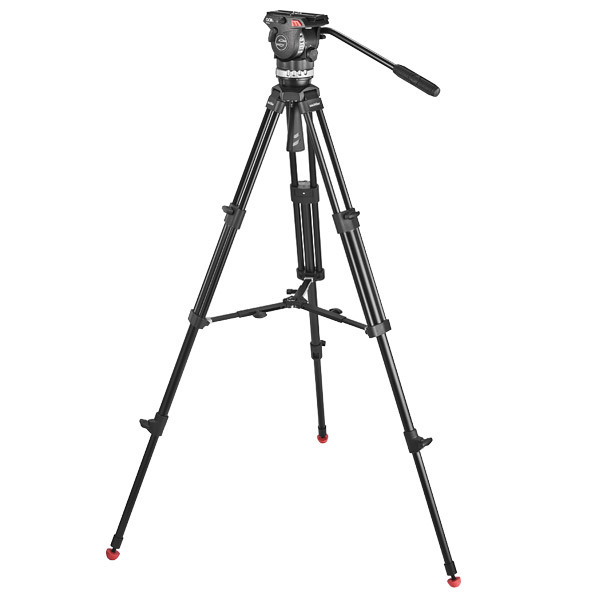 The Sachtler Ace M Fluid Head with 2-Stage Aluminum Tripod & Mid-Level Spreader is a full tripod system for videographers who use HDSLR cameras and smaller camcorders. 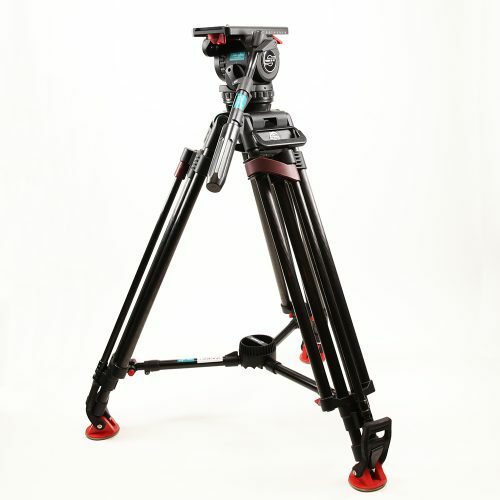 Whether you’re doing documentaries, ENG, weddings, corporate videos, or any other type of projects with a smaller camera, the Ace M system matches your needs, enabling broadcast-style performance with lightweight components. 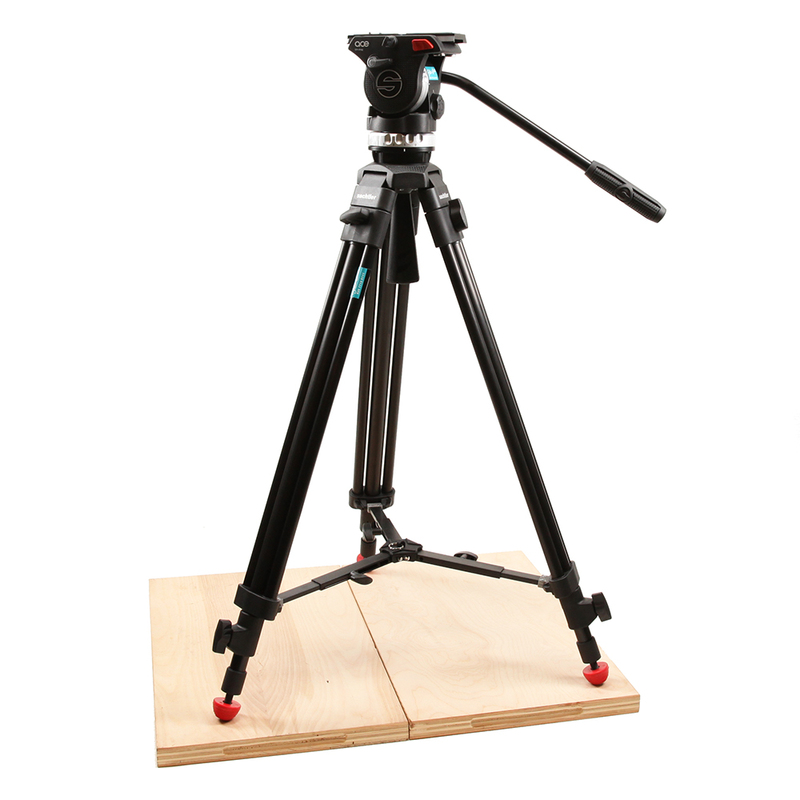 With its light weight, compact size, and mid-level spreader, this system is perfect for projects that involve multiple setup changes on unpredictable surfaces. With a payload up to 8.8 lb, the Ace M fluid head features five steps of counterbalance as well as a plate that features a 4.1″ range of adjustment, so you can balance your small camera to a very precise degree. 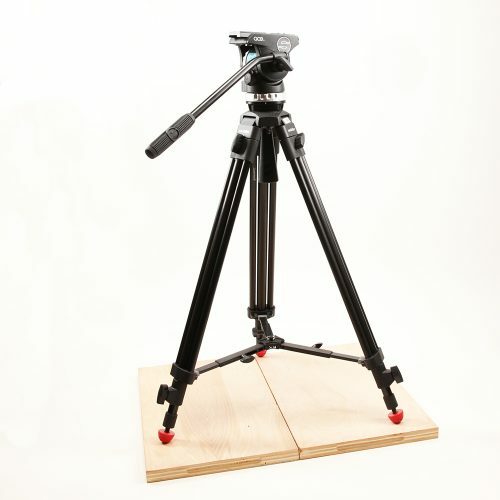 Designed by Sachtler engineers for the Ace fluid head system, the SA drag system enables smooth, precise panning and tilting via the head’s pan bar, with three grades of drag in both the horizontal and vertical dimensions, plus the option of zero drag. The head’s tilt range is +90° to -75°. 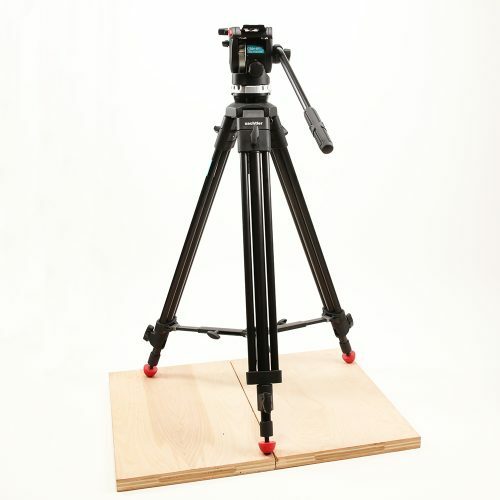 The tripod mounts the head via its 75mm bowl. With the Ace M head attached, the two-stage aluminum model reaches a maximum height of 66.5″ for a comfortable working height for almost all users. 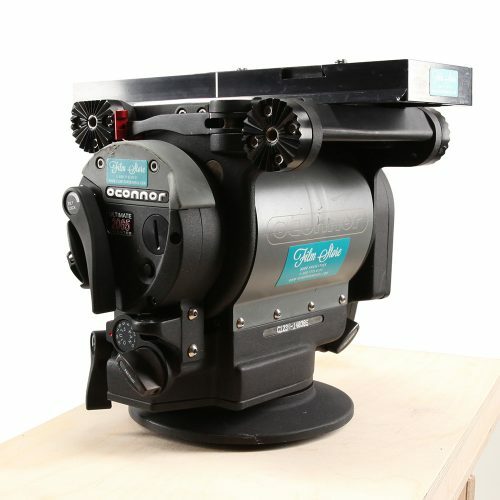 Also included is a mid-level which adds to the stability of the system on any surface, indoors or out.